Terrible news is coming from United States. 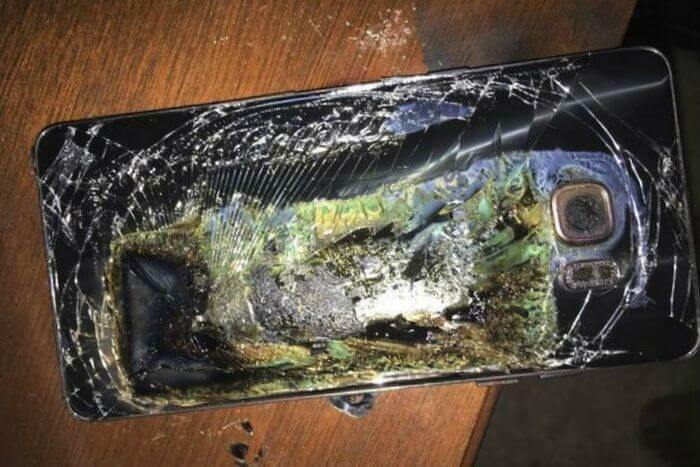 It turned out that the Samsung Galaxy S7 Edge explodes too. The incident took place in Norfolk, where the 27-year-old Lamb Shanika almost lost his car because of a burning spontaneously smartphone this model. According to the victim, Galaxy S7 Edge was just in the cup holder next to the driver’s seat not been charged, has not been overheated, and even virtually unused except for connecting to a car audio system via Bluetooth. Fortunately, it was limited only to the loss of a smartphone. The authors of the plot, shown on local TV, noted that the owner of Galaxy S7 Edge was very lucky that the device did not explode in her hands while talking. The device was purchased from the US mobile operator Sprint (operator version with the model number SM-G930P, usually sold at the conclusion of the contract). But there she was told that the case is not a guarantee and not falls under the extended insurance. Moreover, Shanika Lamb has to pay $ 200 for the replacement of its exploding Galaxy S7 Edge. Then she carried the smartphone directly to a Samsung service center, where the unit took the examination, but made no specific allegations on further action. After explosive Galaxy Note 7 public perceives very sharply each case of spontaneous combustion Samsung smartphone, even if it is a candid fake and stuffing. Xiaomi Mi Notebook Review: What will Surprise New Generation of Laptop?